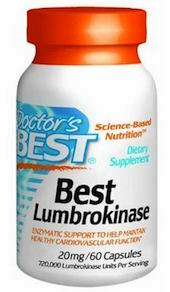 Lumbrokinase acts similarly to nattokinase, in that it has been proven to prevent and disperse blood clots. This means it has secondary fibrinolysis actions (blood clots which are dissipated by medication), but it is primarily a thrombolytic (cardiovascular) natural treatment, meaning that it helps to thin blood. For information, primary fibrinolysis is your bodies natural means of dispersing coagulation which is weak in some individuals. The big difference between lumbrokinase and nattokinase is where it comes from. Nattokinase comes from the stinky fermenting process of natto (boiled soy beans), but lumbrokinase comes from earthworms! Or more precisely, from the cells of intestinal tissue and fluid of the earthworm. This is yet another natural resource we have available to us, which blood disorder patients may be able to use instead of dangerous medications. Of course, there is a lot more research needed on the long term affects and benefits of lumbrokinase. What are the Benefits of Lumbrokinase? Cardiovascular diseases like heart attacks, angina and strokes, along with (chronic) bacterial afflictions like Lyme disease are among the biggest paralyzer’s and killers on the planet. This is why more research is being done on lumbrokinase, because it can prevent and even eradicate disease. This incredible little enzyme, could even prevent deaths. Specifically, this fibrinolytic enzyme has dramatic effects on Lyme disease. It very cleverly breaks down the bacterial bio-films caused by the infection (from ticks), and stopping our immune system from harming our central nervous system with it’s reaction’s to that bio-film. The latest research shows that lumbrokinase works similar to the nattokinase, and also the serrapeptase systemic enzyme, by dissolving fibrin proteins, blood clots and dead/scar tissue. It does not affect living tissue. Are there any side effects to using lumbrokinase? No, unless you are currently taking other heart or anti-coagulation medication like warfarin, which is derived from plant enzymes. Something that should assure you of the safety of lumbrokinase supplements are the fact that this enzyme has been used in ancient Chinese medicine (in it’s natural form) for many, many centuries. However, it’s like most medications or potions. When taken in correct doses, it is harmless. But when taken in higher quantities, studies have shown that the following side effects could be evident. How Does Lumbrokinase Compare to Nattokinase and Serrapeptase? There are two other enzymes in the same class as lumbrokinase, nattokinase and serrapeptase. They all have similar, and very different healing properties. The benefits of nattokinase are associated more with the human bodies blood system, and does great work at relieving fibroids in women and will also attack cancer cells. 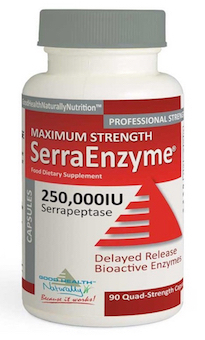 And the serrapeptase enzymes health benefits include helping to relieve the symptoms of a larger list of problems and conditions which can be read in depth on that serrapeptase page, but a few of those ailments are ear and throat infections, UTI’s and varicose vein’s. Important: If you are thinking of taking lumbrokinase and you are due to have surgery, you should refrain from taking it around seven to fourteen days prior. And you should always speak to your physician before taking any supplement that acts with your blood, before you take it. How can I increase the dosage of the Serrapeptase? Can I take one bigger dosage one it would be better for me, as in the morning I get breakfast then at 10am a cookie then around 12 lunch. I can’t really take it in the morning to empty stomach if I would have to take it 2 or 3 times smaller dosage. At the moment I still taking the 80000iu one tablet/day. I take up to 4 per day Lazlo. As I’m eating regularly throughout the day, I often take 2 capsules at a time. Or, you could use the 250,000iu capsules. My husband is 50 years young and is on blood thinners for factor V leiden (or is factor II I always mix them up). Anyone a genetic clotting disorder. Had 1 clot (leg), took blood thinners for 6 months and went off. About 9 months to a year later another blood clot (other leg), back on for 6 months, went off and again another clog in the leg. Now he has been back on them for a year 1/2. He would like to get off of the medication do you have literature of studies you can direct me to with patients with genetic clotting disorders using any of these supplements. Looking foward to hearing from you. Hi Jacqueline, thanks for reaching out. I don’t have anything in my research, but I will have a hunt around and see what I can find for you. I will email you in the next couple of days. Thank you so much.I greatly appreciate it. You’re welcome. I have emailed you direct. You can use the contact page, Lazlo. Thank you. Hi Andy, I’m on Warfarin since 2016 May, after 2 chest infection, I had a PE, which has been found out in 2016 May. There was a small blood clot at the bottom of my right lung. It has scar tissued in my lung, I did lots of search about Nattokinase and Serrapeptase, these enzymes dissolving scar tissued blood clots. I’m taking Zinc for my Wilson’s disease, so I cannot take Nattokinase because it is made from Soy and Soy contains copper, and the Wilson’s disease is copper elimination failure. How can I take Serrapeptase, which dose do I need to dissolve a scar tissue? My INR is 2.1 with 5mg Warfarin. I’m only 34, so I want to take Serrapeptase or Lumbrokinase instead of Warfarin. Thank you! I have nothing in my research for Wilson’s disease, sorry. But I would concur with taking serrapeptase. It’s better to take more than less, when it comes to serrapeptase. But first start off on a low dose, if you’re using GHN supplements, 80,000iu in one capsule to start. If your body has too many toxins, you may experience an upset stomach. But with a clean diet and no alcohol, you can take a higher dose. There are no side effects to serrapeptase, if your body is clear of toxins. Thank you for your answer. I read you can have upset tummy, but because of the coating what the manufacturers use for Serrapeptase, as I read it is mainly plastic… I don’t drink alcohol, I have quite variable diet. I take my Warfarin every day at 7.15pm. Do you think it would be better if I take Serrapeptase in the morning? Do you think if I experience bad tummy ache I can try Lubrokinase? Nattokinase is not playing because it produced from soy which I cannot eat because of my Wilson’s disease. I take two or three capsules during the night, or at least 2 and then one during the daytime on an empty stomach. I’m awake regularly throughout the night due to other health problems, so I know at that time of day/night, my stomach is empty. I believe that you need to find your own dosage and times, and the right supplements Lazlo. Everyone is different, so find what works best for you. Sorry, but I thought it didn’t send my last message so I resent it. It would be not good waking up during the night, but at least your tummy is empty. Yes I also read it needs to be taken to an empty stomach. My zink what I take for my Wilson’s disease has to be taken to empty stomach. You didn’t answer if Serrapeptase won’t be good with my tummy, Warfarin causes me sometimes tummy ache as side effect, can I take Lubrokinase to dissolve the scar tissue in my blood vessel in my lung instead? Yes, I think if serrapeptase doesn’t suit you, try lumbrokinase. They both disolve fibrin and blood clots, scar tissue .. so that may suit you better. 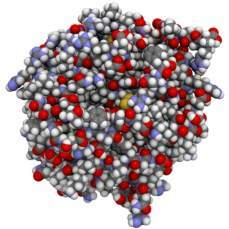 The serrapeptase has arrived yesterday, I ordered that 80,000iu one what you suggested. I took one tablet around 3pm yesterday, I didn’t have tummy problem. I’ve just noticed some prikle feeling between my elbow and wrist on my right hand around 2 hours later taking it. I checked it has no interaction with the zinc, I took the serrapeptase with the zinc as zinc has to go to an empty stomach as well. Would you recommend using Serrapeptase, Lumbrokinase and Nattokinase combination for an IPF (Ideopathic Pulmonary Fibrosis ) patient ? Or if ye then how much should be the dose ? Thanks for your message .. have you signed up for our newsletter yet? You will receive a free book that has a section on Pulmonary Fibrosis which I believe you will find very useful, and has more information than I can share here. Two months ago I had a stroke with a very large blood clot, then they found large clots in my lungs and more clots in my lower legs. Right now I have no symptems from either, priase Yahova. I am on Xeralto and they think I have A-fib, seeing a doc for that next week, so they say Xeralto for life, well I do not want to do that. Will the Lumbrokinase or Nattokinase or Serratiopeptidase be helpful for me? Yes, you would benefit from serrapeptase and nattokinase. I would suggest a combination product, such as Blockbuster Allclear (you can find out more on our products page) .. just click any image..! Hi Lynn, thank you for your message. I was taking two GHN krill oil capsules per day, but I was cycling that with nattokinase for 3 months per. Have signed up for our newsletter? You’ll get a weekly newsletter and also I’ll also send you a free book on serrapeptase, which I think you could also benefit from. I am currently taking 4 capsules per day, as my varicose veins were getting uncomfortable. After a month, the lumps in my leg are down about 50% and I feel a lot better too! Please fill in the form above, Lynn. I currently take serrapeptase (by good health) and blockbuster allclear. I take 2 of each in the morning. I have been considering adding lumbrokinase. Have you heard of any adverse interactions when taking all 3? Hi Sandy, thanks for reaching out. I think adding lumbrokinase might be a bit of ‘over-kill’. Perhaps just try using the strongest dose of serrapeptase, 250,000iu and nattokinase instead. This is my current supplement schedule, along with krill oil … and I have drastically reduced swelling in my legs after not using any enzyme therapies for a while! Is there any studies or researches showing which one is the best one with fibrinolytic activity? (Serrapeptase, Nattokinase Lumbrokinase). I’m very confused when I’m searching online. A combination of nattokinase and serrapeptase works best for me Ed. Without doing more research, I don’t know which direction to point you in. 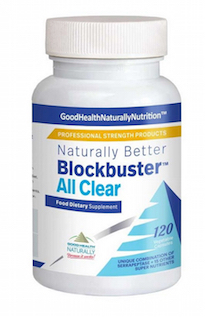 I am currently using blockbuster Allclear. Andy after reading extensively re: Natto I have decided to start taking it. I have been diagnosed twice a year apart with DVT. First time both legs swelled up a week after a hard fall. Dvt in the groin was diagnosed, with compression socks and xarelto for life being the answer. When the xarelto ran out I quit with no problems for 8 months. Left leg swelled up with some snow blowing, again blockage inthe groin. Cat scan of the abdomen now revealed the vein up beyond the lt and rt leg joint was also blocked and the the vein is now constricted, and new veins are finding their way up thru the abdomen. I want off xarelto very badly. I am now taking Natto/xarelto/krill oil every day. What is a much wiser safer way to proceed. Hi Chris, I think maybe you are overdoing it with the krill oil as well as nattokinase and xarelto. Unless you are getting your INR checked regularly and everything is within safe limits, I would suggest swapping the krill oil for serrapeptase, if you need it. Krill oil works great for me as a blood thinner, but i’m not sure of its reaction with xarelto. It might be a bit of ‘over-kill’. Do you know which enzymes are best applied for support of women with endometriosis? Several years ago, I used Lumbrokinase with great results but wondered if the other two would be better? Are you familiar in using Nattikinase or Serrapeptase for endometriosis? Thanks for reaching out. I think you could benefit from a combination of nattokinase and serrapeptase, plus a curcumin supplement. Try Blockbuster Allclear and CurcuminX4000. I recently had a carotid artery stent implanted due to a blockage. I was prescribed Plavix and Lipitor at the time of the surgery. I asked the surgeon if I could treat the aftermath naturally (natto & Serra) and he recommended I stay on these scrips for one month before and after the surgery and then I could go off. Should I take the natto & Serra? With anything else? And if so how much? Hi Paul, thanks for reaching out. I would recommend following your doctors instructions, before using anything else. I don’t have too much in my research for your condition/surgeries, so follow their direct, then for a maintenance (if you want to use both nattokinase and serreptase), try Blockbuster Allclear (find it on our recommended products page). I think that would help you. Andy, what a great site – wish I had known about you 18 months ago when I was laid up in the hospital with a DVT/biPE. The end result is my left main vein is blocked from behind me knee to well into my groin with scar tissue. My leg survived due to already forming collaterals (probably as a result of May Thurner Syndrome based on CT scan). Been though a lot but am doing OK. My biggest complaint is swelling (about one inch at the ankle, 2 inches are the calf and 3 inches at the upper thigh. Was wondering if any or all of the enzymes mentioned here might be useful. Collateral veins are usually smaller and without valves so anything that helps thin the blood is likely to be helpful. I was on Coumadin for a few weeks and Xarelto for a year. There is no medical intervention for me but that’s not a complaint. I welcome any thoughts. You may want to Google Rutin and/or Isoquercetin and Harvard to fine studies they are doing. The two are anti-thrombotics (not blood thinners). In a nutshell with out a thrombosis (clot) there is no traditional heart attack or DVT or some strokes. Lots of their papers are in PubMed. Hi Steve, thanks for the message and sorry for the late reply, you slipped through the net somewhere! I use nattokinase and serrapeptase. Lumbrokinase is not as well known as nattokinase, but has similar but milder actions. It is a shame, isn’t it, that more information is not available on this and similar topics? The more people that are being introduced to these wondrous enzymes, the more proof there is that they work, and work very well. Hello, My son has heart aneurysms from Kawasaki disease he had 3 different times. He is now 10 and is suppose to be on an aspirin a day. I have convinced his cardiologist to let us try a more natural approach but i cant seem to find a good mix/prescription/dose. I need to find out how much and of what to give him a day. His aneurysms are convex now and the risk is that as he grows they may go concave (if that helps) I really need to find the right dose of what ever is best for him to get completely off the aspirin. I don’t have anything in my notes for treating children, but I did find some information on the web regarding it. There are various recommendations, but none that I could confirm. Just type in search term like this: “lumbrokinase” “children” and you will see accurate search results. Sorry I could not be more help. I hope your son’s health improves very soon. Thank you. Would you be so kind and tell me what dose should I take? I’ll update you in few weeks time. I recommend following the doses on the packaging, but if you want the higher dose of serrapeptase, there is a new 250,000iu available from Good Health Naturally, which is what I am presently taking. You can take up to 3 doses of this per day, but I am finding one is enough for me. Hi there, I had hernia repair about 4 months ago. And over a year ago I had myomectomy. So I have massive scar in my abdominal. I also still have swelling in lower abdominal below the scar, pubic area. I had some complications after myomectomy, seroma fluids was building up and had to be drained every few weeks. Can serrapeptase help with post operation swelling? Hi Anna, thanks for the message. Yes, I think both serrapeptase and nattokinase taken together would help ease your symptoms. If you do decide to go this route, please come back in the future and share your story. We’d love to hear. Hi Andy, my husband is about to finish his prescription of Coumadin. He was hospitalized for DVT and PE earlier this year. The doctor sent him for a Lupus Anti-Coagulant test and the first one tested “high”. Twelve weeks later my husband took the test again and he tested “high”. The doctor said he doesn’t know why, but suspects that it must have had something to do with an infection of some sort that he had in the past. He does have reoccurring ear infections due to an ear surgery that was done when he was a child. My question, is Lumbrokinase and Serrapeptase the same thing? And what is Nattokinase? Are they all different supplements that should sometimes be taken together? I am wondering if my husband should start taking one or a combination of these once he is done with his prescription. Your opinion is very much appreciated. Hi Noreen, thanks for the contact. Lumbrokinase is more similar to nattokinase, in that it ‘thins’ the blood and reduces blood pressure, as well as other things. Serrapeptase works well with nattokinase, one complimenting the other to help remove scar tissue and reduce inflammation. I think the latter two might help your husband, plus curcumin, which is another powerful, natural anti-inflammatory. Can nattokinase pills be taken in conjunction with hawthorne berry pills? I don’t have anything regarding that sorry Travas. Hi Sam, thank you for your message. Please remember that I am not a doctor, as such consult a doctor before following any of my thoughts. I don’t have anything specific in my research for your query, however, you appear to be taking a few blood thinners and perhaps swapping aspirin for nattokinase would not have any negative effects. Ordinarily, I would think the combination you are taking would thin blood too much and be dangerous. What about combining nattokinase, serrapeptase and lumbrokinase? I have been taking serra enzyme (from Good health usa) and also their nattokinase. I am curious if the lumbrokinase works differently then the natto or serra. Hi Sandy, I don’t have anything in my research regarding using all three enzymes sorry. But, I think it would be a bit of ‘over-kill’ and may thin your blood too much to make it safe, depending on doses of course. Hi Andy, I have been researching natural alternatives, I was diagnosed with a left leg DVT February 14, 2015 after having surgery January 23 and I was wondering if the Lumbrokinase will have the same effect of dissolving the clot as the Nattokinase? After researching the ingredients of Nattokinase I decided not to take the supplement, I was diagnosed with hypothyroidism in 2009 and removed the soy products from my diet and I have not taken Synthroid because my thyroid levels are in range. I am currently taking Xarelto for 3 months and decided I will not take an aspirin for a year because it can have an affect on the GI system. Thank you in advance. Hi Errika, thanks for your message. If you were taking lumbrokinase and nattokinase, is it safe to just stop them cold turkey? Or do you need to gradually lower the dose? I’ve not heard of any ill effects by stopping, including myself. How did you ween yourself from Coumadin? I am on an anti-inflammatory diet per natural doctor and will be stopping the Coumadin is 1 month and introducing lumbokinase and 850mg fish oils. I have an 18 month old daughter and am 30 years old so I have a lot to live for. I am in good hands withy my doc but the doctors at my hospitals think I am crazy. Has anyone had success of keeping their INR therapeutic while completely changing diet and doing lumbokinase and fish oils? I’m desperate for some positive reinforcement because the Coumadin is not something I can stay on for life. Hi Erica, thanks for your message. I was on warfarin a long time ago, but suffered for many years after with circulation problems. I did not realise the symptoms myself, and they were missed by my doctor until he recommended wearing compression stockings (which only partially helped). Thats why I researched these natural replacements. I think, if you read through some of the comments on this page and a few others, you will read about several people’s results (Look out for Greg, he’s kindly left a string of comments with his progress). Just chiming in..still on the same program..i did add serrapetase to the program.. and have had no adverse effects..i have been in the normal range on my INR 1.2-1.5 not in the theraputic range my DR’s prescribed..im driving them nuts..all they want me to do is take more coumadin and stop eating everything that our bodies need to be healthy..I said okay look..my DVT was surgically induced correct? “They said yes..by the swelling at the site of the Angiogram, i dont have a blood clotting problem ten i said..just a clot formed from the surgery..answer: yes.. so i dont need an anticlotting agent for that..i need to get this scar tissue dissolved..PLUS the body has already done its bypass and it is old area is not totally blocked. I think they aree afraid of a LAWsuit from the surgery..so i have requested all my records..(they are mine anyway) and there are hesitant to release them..they i believe are hiding something. So i stay out of range over 60 days now..no clotting..hmmmm makes one wonder???? So im staying with my own program..omega 369, vit e , selenium, nattokinase and serrapetase and very little warfarin 2.5 a day..im doing this for one year..and come this summer i am requesting another ultrasound..last time i went in i wanted another one..they said NO…thats what makes me think they are hiding something… other than that.so far all is great! Hi again Greg, thanks so much for a further update. It sounds like you have those doctors on the run. They push and push medicines that you clearly don’t need…yes it does make you wonder why! Maybe there was a problem that you weren’t made aware of…naughty really! I look forward to reading your future updates, particularly after your scan. Wishing you continued improvements in your health. Have you heard if lumbrokinase will help with removing scar tissue? I would have to check my research, I don’t think I covered it in this article. Serrapeptase is probably a better choice for you Shane, as it does break down dead and scar tissue. Hi Paula, thanks for your message. Yes lumbrokinase or serrapeptase would help your husband, and you should not take nattokinase as you are pregnant. You can definitely take serrapeptase, Paula, even while pregnant and if you were to breast feed. Hi Michael, thanks for the contact. Firstly, please remember that i’m not a doctor, and you should confirm anything I say with your doctor. But I think taking aspirin with nattokinase is a bad idea, as your blood may become overly thin (even though it is only a baby aspirin). It’s great to hear about your blood pressure drop too, it goes to show that natural alternatives to prescription drugs do work! I had a DVT from long flight last week which turned into a pulmonary embolism (PE) and put me in hospital, I’m out now injecting Clexane in my stomach twice a day and taking 10mg of warfarin. I have been healthy and fit all my 60 years (running an organic farm for 30 yrs) and hate to be taking all these synthetic drugs, a friend has given me a a bottle of Lubrokinase , but I’m a bit concerned about mixing with the warfarin and having unpredictable side effects? Hi Rob, thanks for your message. Its not a good idea to take lumbrokinase or any other natural blood thinner if you’re already taking warfarin type drugs. It could become dangerous. However, you can read in the comments on this page and others on nattokinase, that some people have ceased taking drugs, opting instead for (usually) nattokinase. I hope this helps. Good luck returning to good health. Okay here is an update, I have cut 10mg a week out of my coumadin and my INR is been in range for 10 days now 2.1-2.5 How? 3,000 mg fish oil (omega 3,6,9) and 400 iu vitamin E, i test every 4 days just to be sure..i am now only on 2.5mg daily and this week will be cutting out 1 day completely and and i should test out at 2.0 im estimating..if i am correct then i will have found a ratio of oils vs INR that works for me..and i guessing buy the end of the year I will be off this rat poison completely..I have also found that Nattokinase will change the aggregation of the blood cells PLUS will actually eat away the scar tissue from my DVT..but i will have to adjust my oils intake and vitamin E carerfully as i have done in this experiment..its working..
Hi Greg, and thank you for returning for an update. This is amazing to read. You’ve done a lot of experimenting I see, and I’m glad you’ve found something that works between your arsenal of treatments. To cease taking the coumadin completely is wonderful to hear, again, if you have time come back and let us know whats going on. I think a lot of people could benefit from reading this one comment, maybe they could follow your lead. You seem to know your drugs and ‘levels’ Greg, thats great. Please come back and let us know how you get on, I would really like to know what works best for you. Regarding muscle problems, I’m not completely sure, but I think magnesium oil could help you in some regard. Either look it up, or I can email you some information, just let me know. Hello Andy, I had a dvt from an angiogram where the swelling caused the blood clotting, it was groin to knee, they put me on warfarin and i currently take 2.5 m,w,f and 5.0 t,th,sat,sun, i check my INRr at home every 2 weeks and sit usually 1.8- 2.3..depending on my diet, I also have Muscular dystrophy and can not afford the side effects.. I was thinking of gradually weaning off and mixing in Lumbrokinase over a period of say 4-6 weeks and then useing only natural say lumbrokinase with omega 369,garlic tabs and maybe bromelain and papain tabs, many of which i already take. I also am on a good regimen of aminos and vit/mineral liquids, q10(ubiquinol) L-Arginine, bcaa’s etc, your comments? Hi Greg, thanks for your message. Sorry to hear you to, have had a DVT like me. I would always recommend speaking to your doctor, or at least one who is knowledgable about natural blood thinners (like lumbrokinase and nattokinase), first, particularly if you are quitting warfarin. That is a huge step, and I remember it well, albeit that was almost ten years ago now. If you cease taking the warfarin, would you still be able to get your INR checked correctly? That would be my first comment. I don’t know if doctors/GP’s perform INR tests if one has finished taking warfarin. Worth checking though, at least you know then if the lumbrokinase is working – or if you need to switch to nattokinase, or other blood thinner. I don’t have any information on bromelain or papain, sorry, but if they offer blood thinning effects, be careful when taking with nattokinase or lumbrokinase. Vitamins and minerals should always form part of a healthy diet, I think. And if you can’t get enough from your food, then yes, supplement. I wonder why you are taking BCAA’s, as these are only (usually) a sports persons supplement. I hope this way helpful, sorry if I could not aid you more. Please come back and tell us what you decide, and if your doctor will do the INR tests if you’re not taking warfarin. I think that information could help other people too. I have inherited varicose veins from my mother’s side of the family. My left leg is worse than my right leg. I’m 50 years old and I have noticed that in the past 3 years the discomfort level (especially in my left leg) has increased a good bit. My calves are always sore and I’m getting pins & needles feeling in my left foot after standing for a while as the day progresses. I’m am also worried that I may have a blood clot in my left leg. 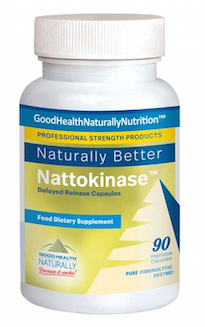 I have been taking nattokinase for a while now but I am not sure how much I need to be taking. How much would you have to take to be able to dissolve a blood clot? Also is nattokinase the best one to use for a blood clot over Lumbrokinase and Serrapeptase? Hi David, thanks for your message. I am sorry to hear of your troubles, I can totally relate, as it sounds like you are suffering pretty much the same problems as me. I take nattokinase and serrapeptase together, usually just following the dosage guides on the tubs. However, if I know I’m going to be stationary for long periods, and over a few days, I double the dose of nattokinase (but stick with the recommended for serrapeptase). Will Lumbrokinase lower blood pressure or help with type 2 diabetes? Hi David, thanks for your message. For something as specific as high blood pressure, I think nattokinase and/or serrapeptase would benefit you more. You can read about these on our site. I don’t have any experience regarding diabetes and enzyme therapy right now, I am sorry. Is there an antidote for this as vitamin k is for the dreaded warfarin! Could you provide more information regarding your question please?